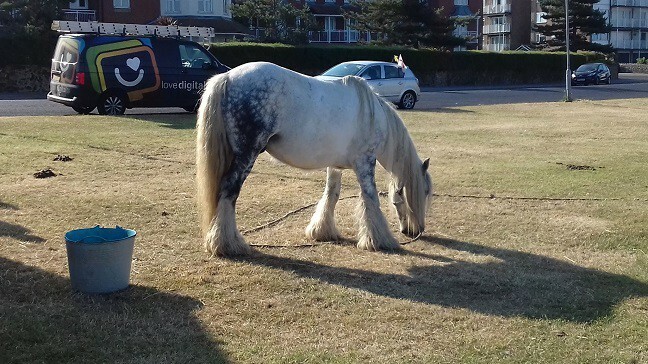 Residents across the isle have being spurred into action to support travelling showman David Sanger as he copes with a possible poisoning of his three horses. 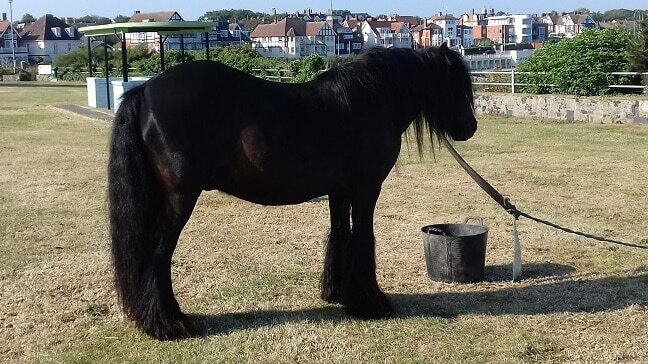 David, who is the descendant of Victorian star Lord George Sanger, the founder of Dreamland predecessor, the Hall By The Sea, had been staying at West Bay when his horses became ill yesterday (July 7). Two vets have been out to the site and blood tests have been taken. David says the horses are suffering from ataxia, which is a dysfunction of the central nervous system through the spinal cord and the brain. 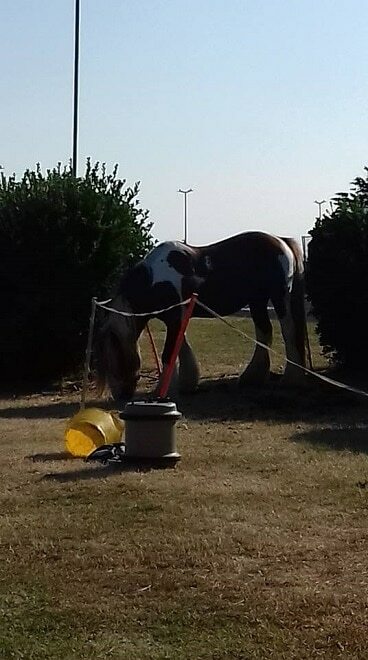 The community has rallied to David’s aid with the donation of three gazebos to keep the horses shaded, plenty of water for drinking and soaking towels to drape on them, hay, a £50 donation towards vets fees and the offer of more donations to help with the costs. David said: “It hit my stallion first and the vet thought he had pulled his spine out ,but then the other two now are the same. We have been on village green with nothing poisonous anywhere to be seen. I’m devastated. “Two of them are really bad , the black horse had it mildly up to now but he is starting the same as the other two ,so it looks like it will hit him soon. I have some gazebos for shade and they have been wearing cold wet towels all day. The horses are still poorly today but it is reported that there is no liver damage or toxins. The community effort to provide water continues and there has been help from Thanet fire crews today. Donations can be made to White Mill vets in Sandwich. Reach them on 01304 611999. Once again Thanet shows it’s two faces, the generosity of spirit that will come to the aid of their fellow man and the intolerance that led to them voting in a UKIP council. Unfortunately, he gets a lot of grief from Thanet’s golf playing, daily mail reading, UKIP supporting twats who find it unthinkable that anyone would choose to live a different lifestyle to theirs. Go and wash your cars, it’s a Sunday, you sad old men. I met this man when i took my own horse down to minnis bay for a paddle in the sea. Both him and his horses are lovely! It sadden’s me to think that someone could do this to his horses! They are his world! as are mine to me! David anything i can do to help with bringing things down for you and the horses i will. 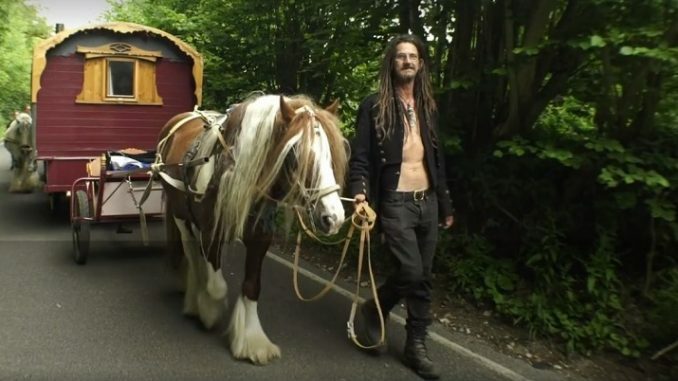 Well done to the nice people in thanet that is helping this man and his animals!